Applying for a scholarship is easy! The College of Behavioral and Social Sciences offers over 75 scholarships providing financial support to students majoring in one of our many academic programs. 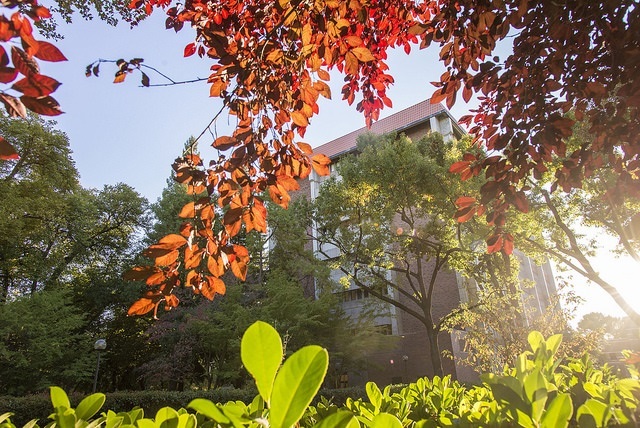 If you are a high achieving student and plan to attend CSU, Chico fall 2020, we invite you to apply for an Academic and Performance scholarship. This scholarship is for incoming freshman or transfer students who are attending California State University, Chico for the first time. To qualify, you must have an incoming GPA of at least 3.0 (on a 4.0 scale), enroll in a minimum of 12 units in fall and spring semesters, and major in one of the academic programs offered in the college. For questions regarding the college scholarship process, please call the college office at 530-898-6171 or email us at bss@csuchico.edu. Please revisit this website in January 2020 to apply. Visit the university scholarship page to apply for all department and university scholarships through a simple one-application process. The next online application period will begin in January 2020. Please check back then. The purpose of this Award is to foster the work of the California State University, Chico (CSUC) students in the advancement and promotion of gerontology education and training, and in turn serve to enhance the healthy outcomes of older adults in northern California. The award provides for interdisciplinary education, fosters growth of professional competencies, and promotes inter-professional development in the field of aging. CSU, Chico retired faculty and staff Jerry Williams and Chuck Nelson, along with Terry Williams, a retired Northern California educator, all CSU, Chico alumni, are providing funds to recognize a CSUC student who has a passion and interest in working with older adults in the North State through involvement with older adult agencies and services. Deadline for submission of proposals is April 30, 2019 at 4:00pm. The purpose of this Award is to support Social Science majors at California State University, Chico (CSUC), for the advancement and promotion of the multi-disciplinary curriculum and training in the social sciences. The award recognizes the value of this interdisciplinary education, which fosters growth of professional competencies, and promotes recognition of the social sciences in public education for Californians. CSU, Chico retired faculty and staff Jerry Williams and Chuck Nelson, along with Terry Williams, a retired Northern California educator, all CSU, Chico alumni, are providing funds to recognize a SOSC major who has excelled in the interdisciplinary curriculum and has elected to work in California public education.